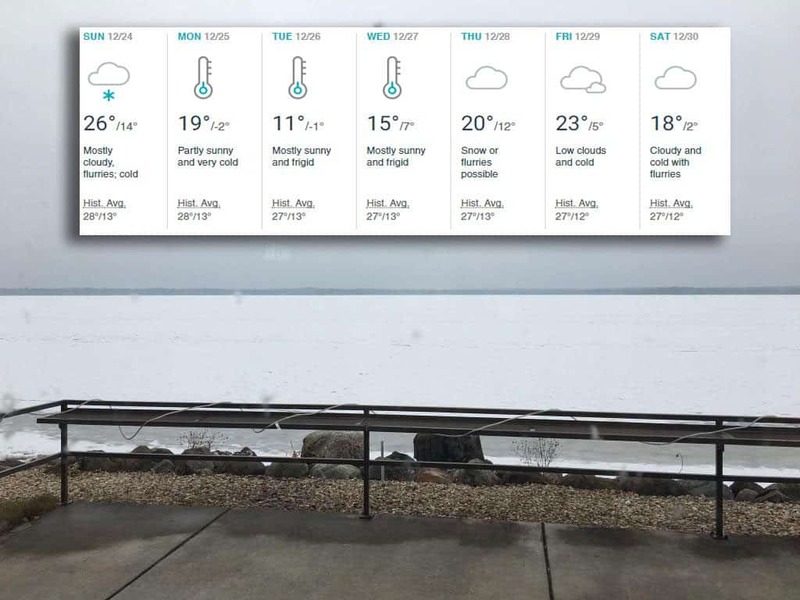 Today’s view of a still-unsafe Lake Kegonsa is much improved with this forecast graphic. There will be no 4LIYC racing for the weekend of December 23 – 24, 2017. Ice checkers found only 3″ of ice on Lake Kegonsa and discovered a large goose hole near Colladay Point. We strongly advise everyone to stay off of Lake Kegonsa because of thin ice and goose holes. Now for the good news. Take a look at the Christmas gift of ice making weather coming our way. This is what dreams are made of for ice sailors. We will check Kegonsa’s ice on Tuesday December 26 and if it’s safe, plan on some fun scrub racing all during the Holiday week. 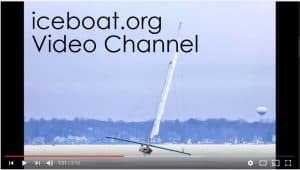 UPDATE: DNs ON WINGRA via Daniel Hearn: team maDisoN will be scrub racing once again this weekend on Lake Wingra in the heart of Madison. Ice remains in the same condition as last weekend, which was quite nice. Wind will be stiffer than previous weekend, this time out of the west, which is the opposite direction from last weekend (and a good direction for the shape of the lake). Forecast to be steady at 12-13 mph with gusts 16-17. Gusts easing off a bit as the afternoon progresses. Marks will be set and we’ll scrub race until we can’t pull anymore. GRAND SLAM: Next update on our fun-regatta, the Grand Slam will be Friday, December 29. If there are conditions, we will hold the Grand Slam on December 30-31 and our annual Bloody Mary 10 lap race.